Credit for this achievement must go to the 488 GTB’s revolutionary proprietary solutions which deliver a car at the top of its class in terms of power output (670 cv) with engine and command response times of just 0.8 and 0.06 seconds respectively. Significantly, however, sophisticated dynamic vehicle controls make this massive power completely controllable even on the limit by drivers of all abilities, resulting in the unique driving pleasure that only a Ferrari can deliver. 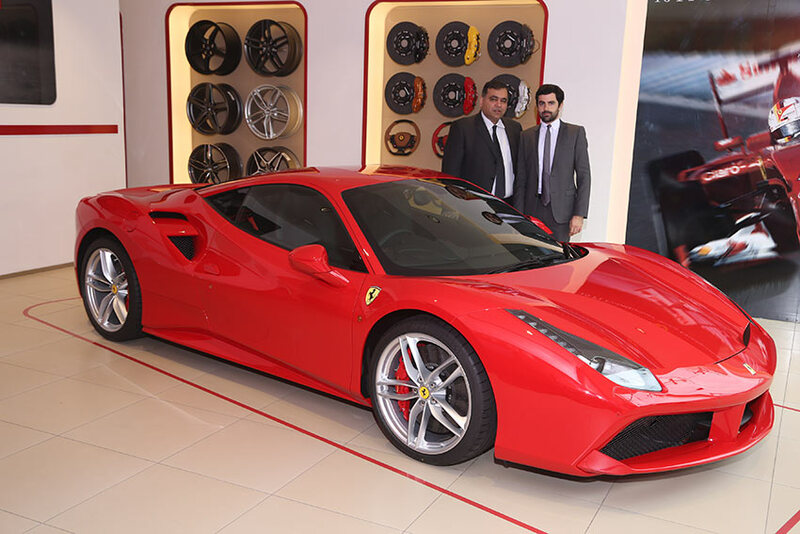 We are delighted to launch the Ferrari 488 GTB in New Delhi. 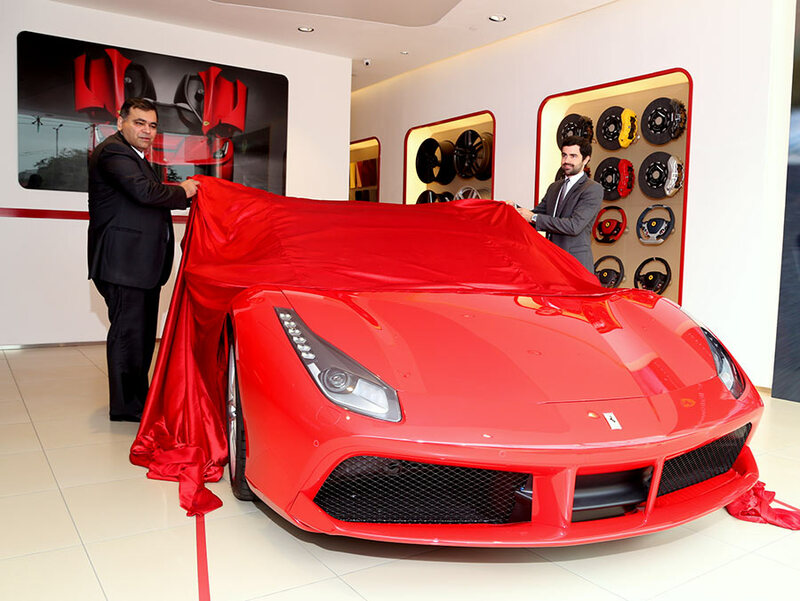 We have many loyal Ferrari owners and fans in Northern India and this new launch allows us to bring them a fantastic new model in our market. We are confident that we will continue to create more value for our ever-increasing customer base with an unprecedented buying experience. Designed by the Ferrari Styling Centre, the 488 GTB’s sculptural forms are completely new. They accentuate the car’s sportiness yet retain the classically clean, pure lines typical of Ferrari’s legendary styling. The seamless interweaving of form and function is clear in every detail, in fact. Certain design elements are also obvious nods to the past, not least the 308 GTB-inspired styling of the flanks. The extreme power required by the car is delivered by the new 3902 cm3 turbo engine which is coupled with a seven-gear F1 dual-clutch gearbox featuring Variable Boost Management which optimally distributes torque (a maximum 750 Nm in seventh gear). The 488 GTB guarantees exuberant performance that is absolutely exploitable to the fullest regardless of driving conditions and is accompanied by a deep, seductive soundtrack, the signature of all Ferrari engines. The 488 GTB’s revolutionary aerodynamics incorporate patented solutions, such as the blown rear spoiler, as well as innovative features like the 458 GT-derived aerodynamic underbody with vortex generators. The result is a new efficiency record for a Ferrari (E=1.67). Downforce increases to 325 kg at 250 km/h, thanks in part to active aerodynamic devices which reduce drag whilst simultaneously generating downforce when required. 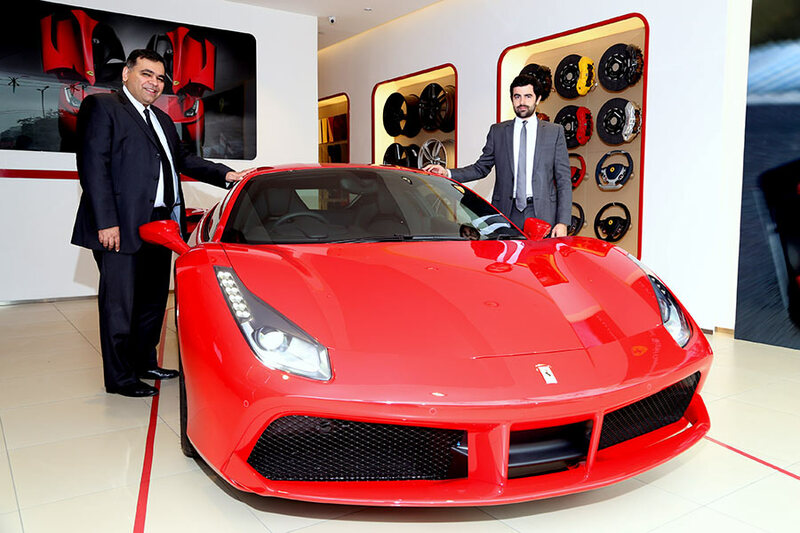 The 488 GTB’s dynamic vehicle controls have also been further evolved. It sports a new version of the Side Slip Control System (SSC2) which, aside from just integrating with the car’s F1-Trac and E-Diff, now also controls the active dampers. This renders the 488 GTB’s dynamic behaviour during complex manoeuvres even flatter and more stable, so that less expert drivers can enjoy its potential to the fullest, resulting in an astonishingly engaging driving experience.